Celebrate Saint Patrick's Day with jars as well. 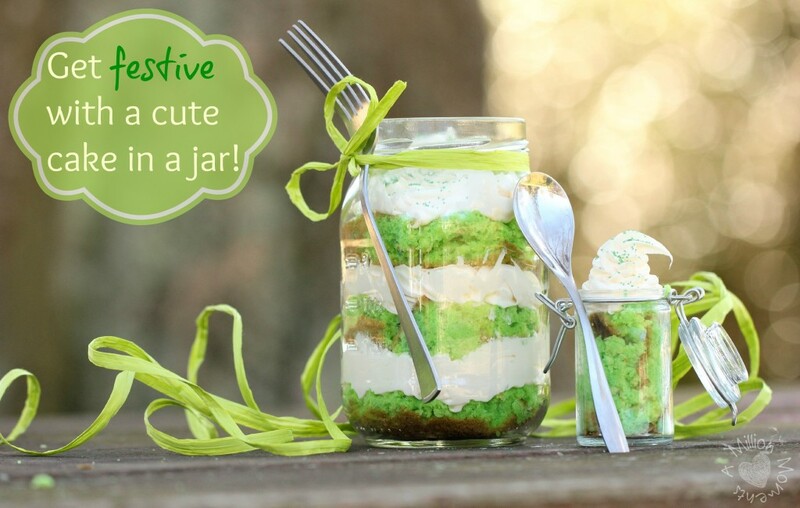 Make this fun cake in a jar from Million Moments for your family. Your kids will love eating green this Saint Patrick's Day. Get the recipe and instructions by clicking here.